In an ever-volatile world, you would look at any index. These can range from human development, a standard of living, per capita income, quality of life, ease of doing business, corporate taxation or company incorporation. Whichever way you look, the small city-state of Singapore stands tall. The nation’s thriving start-up ecosystem includes robust incubating infrastructure, tax incentives, cash grants, and financing schemes. This has led to a significant increase in the number of startups in the country over the last decade or so, with the number reaching 48,000 in 2015, as compared to 22,000 in 2003. A major contributing factor in the startup success of Singapore is the growing pool of high net worth individuals, corporations, and institutional investors. Also, apart from private sources of funding, the Singapore government actively encourages the set-up of incubators and investments into startups through a variety of programmes. Initiatives led by governmental bodies such as SPRING Singapore and the National Research Foundation (NRF) seek to support local startups by leveraging the expertise of third-party investors and encouraging investments through co-investment schemes. Furthermore, the government allocates resources for venture investing through the Economic Development Board’s investment arm and Singapore’s two sovereign wealth funds, the Government Investment Corporation of Singapore and Temasek Holdings. Then, there is the option of equity fundraising. Notably, the landscape of private equity funding in Singapore is getting more robust these days, as the government actively encourages private investors to invest in the country’s startups with numerous tax incentives. If you opt to finance your business by selling equity in your startup, you sell partial ownership of your company (in the form of shares) for a cash investment. However, it is crucial for you to understand that in order to have a good chance of securing equity capital in Singapore, you need to show your potential investors that you have a watertight and comprehensive business plan, clear exit strategies, reasonable and prudent financial projections, an experienced and go-getting management team, as well as strong growth potential. Alternatively, you can seek other sources of funding from venture capitalists, business angel investors, banks, investment companies/funds or financial institutions. 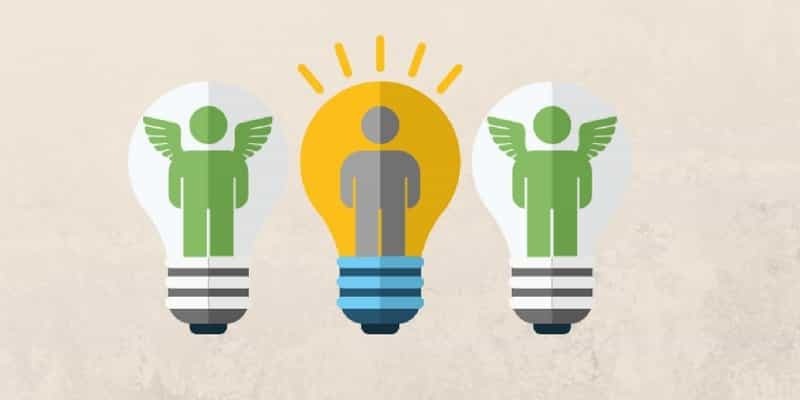 Angel investors are private investors who typically not only invest capital but also contribute their business expertise/skills in early-stage businesses in exchange for a significant share in the company. They can be individuals, or be part of an angel network that engage in investing in businesses with high growth potential and in the industries that they are familiar with. That said, there are some business angels playing active roles in the business while others act as sleeping partners. Angel investors are typically wealthy High Net Worth Individuals or successful businessmen with an appetite for startup companies with higher risk (but that are promising enough to yield higher returns). Therefore your startup should have a high growth potential, in order to win the favour of business angels. Moving on to the venture capitalists, these are typically professional investors who have a more hands-on role in your business if they were to invest in your company, and they typically do so with the vested interests of their own clients’ profitability. Venture capitalists offer not only funding but also advice on increasing your business profitability, and possibly in operational matters as well, especially if your business requires input from different areas of expertise in the team. Popular startups for venture capital funds are those in high growth potential sectors such as IT, biotechnology and nanotechnology with a competitive edge in the market and longevity of profiteering. Startups whose business involve scientific breakthroughs, Intellectual Property creation and other similar large-scale impact businesses are often favoured by these venture capitalists. The venture capital industry in Singapore is relatively new and small compared to the US and Europe. Nevertheless, there are actually more than 100 venture capital firms in Singapore ranging from independent limited partnership venture capital firms to corporate-backed venture capital firms. If you intend to start a company in Singapore and need startup funding, read on for our list of the top 22 Venture Capitalist (VC) firms and angel investors in Singapore. One prominent angel investor in Singapore is Facebook’s co-founder Eduardo Saverin, and his venture capitalist firm B Capital Group which he launched in 2014 with a $144 million venture fund focused on India, South-east Asia and the US. B Capital Group backs the next generation of ground-breaking technology companies and has offices in Los Angeles, San Francisco, and Singapore. It has partnered with the Boston Consulting Group, and its incubation arm BCG Digital Ventures. With founding partners in Singapore and San Francisco, this is an early-stage VC firm in Southeast Asia bridging Silicon Valley and Asia through investment, experience, and relationship building, and has over 30 investments across seven countries. One of the founding partners of the firm is Jeffrey Paine who invests in consumer internet, social media, digital entertainment, e-commerce and crowd-sourcing. Some of his latest investments are Aptoide, Xfers and MyMusicTaste. Another founder partner Vinnie Lauria who was based in Silicon Valley before moving to Singapore has invested in Coda Payments, Nitrous and Lenddo. A VC firm partners regional consumer internet category leaders in retail, financial services, travel and hospitality, healthcare and several other sectors. It aims to tap into ASEAN’s high-growth cities and their rapid growth in online consumer behaviour in terms of online media, social networks, mobile apps and aspirational consumption habits. The firm, under its Managing Partner and founder of Sony Entertainment Television Jayesh Parekh, has invested in 500 Startups, PubNub, and Artiman Ventures. Another founding partner Amit Anand has invested in DocDoc, eBus, iMoney and Fastacash. 500 Startups is a global venture capital seed fund with a network of startup programs head-quartered in Silicon Valley with over US$350 million committed capital across four main funds and 13 micro funds. It has invested in +1,700 technology startups all over the world since its inception in 2010 including Twilio, Credit Karma, Grab, Udemy, Talkdesk, Intercom, and MakerBot. The firm’s Managing Partner in Southeast Asia is Khailee Ng, a notable angel investor in Singapore. Another of its partner in Vietnam is Eddie Thai who has been listed in Forbes Vietnam’s 30 under 30. Singtel Innov8 is a US$250 million corporate venture capital fund with its own set of decision-making, approval and funding processes and owns presences in Singapore, Silicon Valley, Tel Aviv and other markets. The fund focuses its investments on technologies and solutions that lead to quantum changes in network capabilities, next-generation devices, digital content services and enablers to enhance customer experience. It works closely with the ecosystem of leading innovators, developers, government agencies, R&D and capital providers to bring cutting-edge technologies and solutions to the various markets the Singtel Group operates in. In aggregate, Sequoia-backed companies account for more than 20 percent of NASDAQ’s total value. In the last 45 years, Sequoia has worked with Steve Jobs, Larry Ellison, John Morgridge, Jerry Yang, Elon Musk, Larry Page, Jan Koum, Brian Chesky, Drew Houston, Adi Tatarko and Jack Dorsey, among many others. Monk’s Hill Ventures is a partnership of seasoned entrepreneurs who have built and backed global companies based both in Silicon Valley and Asia. It’s a VC firm investing in post-seed stage tech startups that will take advantage of the fast growing South-east Asian markets. The firm’s co-founder Kuo-Yi Lim, hasinterests in enterprise software, mobile consumer internet, and Big Data; and has invested in DataXu, Gengo, Kalibrr and Reebonz. Quest Ventures, based in China and Singapore, is a leading venture fund for companies that have scalability, and are replicable in large internet communities. This is an international VC firm, headed by Slava Solodkiy and established in 2012 in Singapore. It has already invested in more than 20 FinTech companies around the world through its two funds Life.SREDA I (US$40M) and Life.SREDA II Asia (US$100M). As part of the Draper Venture Network, which has 10 funds across four continents, this VC firm can help startups gain access to global insights and scale. Paul Santos who is the Managing Partner at the firm has made investments in Ardent Capital, Luxola, and TradeGecko. Crystal Horse Investments was founded in Singapore and is the official fund manager of Angel’s Gate, Asia’s first reality TV series with a focus on business and entrepreneurship. It invests in companies in Singapore and Malaysia where it thinks there is value in the long-term and also where it can add value to the company. COENT provides seed and venture-stage funding to entrepreneurs and companies across all sectors in Asia, as well as support in management, overseas business development and exposure to business networks. East Ventures has offices in Jakarta, Tokyo, and San Francisco, and has invested in over 150 companies across Asia and the US. Its portfolio of companies focuses on commerce, social, game, SAAS, and mobile services. The firm’s co-founder and Managing Partner is Willson Cuaca, who is also the CEO of Apps Foundry. His investments include Tech in Asia, Waygo, RedMart and Megafash. Founded in 2002, Gobi Partners head-quartered in Shanghai has an investment focus on early-stage, digital media, IT and TMT companies. The firm has raised seven funds to date, and has invested in over 100 portfolio companies across China, Hong Kong and ASEAN over the past decade. The firm’s founding partner Thomas Tsao participated in the development of several leading companies such as Brite Semiconductor, Camera360, CiB, CSDN, Line0, Madhouse, World Traveller and Yoyi Digital—often serving on the company’s board of directors. Head-quartered in Singapore, this VC firm invests typically in Seed to Series A companies, especially B2C and C2C platform business in South-east Asia. Its parent company is IMJ Corporation, which is the biggest digital agency in Japan. Since the establishment of the Incubate Fund in 2010, it has invested US$170million in seed startup businesses, including more than 120 companies through its related fund in the last five years. It is a Singapore-based early-stage venture investment firm, investing in high-potential South-east Asian ventures. Aided by the Innosight Consulting Team, it claims to have developed a proprietary methodology that enables it to spot, shape and scale successful startup companies. The firm’s partner Piyush Chaplot, has invested in MyVR, Anchanto, Chope and LuxeNomad. This fund invests in seed stage internet and mobile startups across South East Asia, Hong Kong and Taiwan. Its founder and general partner Koichi Saito, was previously a director at IMJ Investment Partners and was responsible for investments in iMoney, Bukalapak, and Zipmatch. This fund is part of the Rakuten Group, one of the world’s leading internet service companies. Rakuten has built and invested in innovative internet businesses in e-commerce, financial services, digital content and advertising since 1997. The company is head-quartered in Tokyo. The firm is headed by its Managing Partner Saemin Ahn, who invests in diverse verticals such as advertising technology and artificial intelligence. His investments include Carousell, Pocketmath and Algorithmia. Based in Singapore, this focuses primarily on angel to seed-stage investment in technology startups across South-east Asia. It specialises in deep technologies, AI and data science tech startups in the fields of Fintech, Energy Tech, Education Tech and Marketplaces. It has supported 38 startups with US$5.3m in seed funding. Tri5’s Managing Partner Christopher Quek is also the director and incubator of Angels Gate Advisory (AGA), a community pro-bono advisory service which supports entrepreneurs in grants and advisory. UOB Venture Management Private Limited is a wholly owned subsidiary of United Overseas Bank (UOB) Limited, one of Asia’s leading international banking and financial groups. Operational since 1992, the fund has provided financing to more than 100 privately-held companies through direct equity investment, mainly in Southeast Asia and Greater China. DreamLabs is a $50 million fund established to invest in disruptive, scalable, people-focused companies in the areas of Cleantech, Fintech, eCommerce, Healthcare and Energy. Besides capital, the fund also provides mentorship, networking and physical infrastructure at their incubator in Singapore’s CBD. Apart from the above, entrepreneurs and companies can also access services of Rikvin Capital, which is Singapore’s alternative private funding specialists. In 2018, they funded various projects to accredited investors and corporates who needed short-term funding for investments against their secured assets. This is a non-traditional source of funding and is suitable for those that are affected by Total Debt Servicing Ratio (TDSR) or have no track record with financial institutes. There are also networks for you to refer to in seeking a business angel investor(s). An example is the Business Angel Network Southeast Asia (BANSEA) that matches startups in the seed stage of enterprise formation with business angels. BANSEA invests in companies that offer exceptional opportunities for high returns on investment, which usually involves early-stage ventures with a high growth potential, either in a developing market (especially in emerging markets) or in an existing market with international expansion capabilities, and that is sustainable in the long-run. Finally, there is the option of private funds such as banks, financial institutions, and investment companies. These sources of funding are very rarely involved in an active role in managing the business. This gives you the autonomy of conducting your own affairs in the manner you deem best, as their main purpose is to receive an attractive return (usually in the form of high interest from 7-12 percent) on their investment. Thus, businesses that are already established, have a good credit track record, are already generating revenue in high amounts, and have a high growth potential would benefit from such sources. In Singapore, however, there are micro loan programmes instituted by the Singapore government under the auspices of Spring Singapore and IE Singapore that facilitate your taking of small loans from participating financial institutions like UOB, OCBC, DBS, Standard Chartered Bank. Tap into Rikvin’s network of banks, private equity firms, venture capitalists and angel investors.